I’m REALLY struggling to log into WordPress right now. Not only that, but I’m REALLY REALLY struggling to copy my Tumblr posts over to WordPress. So, as a compromise, why not migrate with me over to Tumblr? 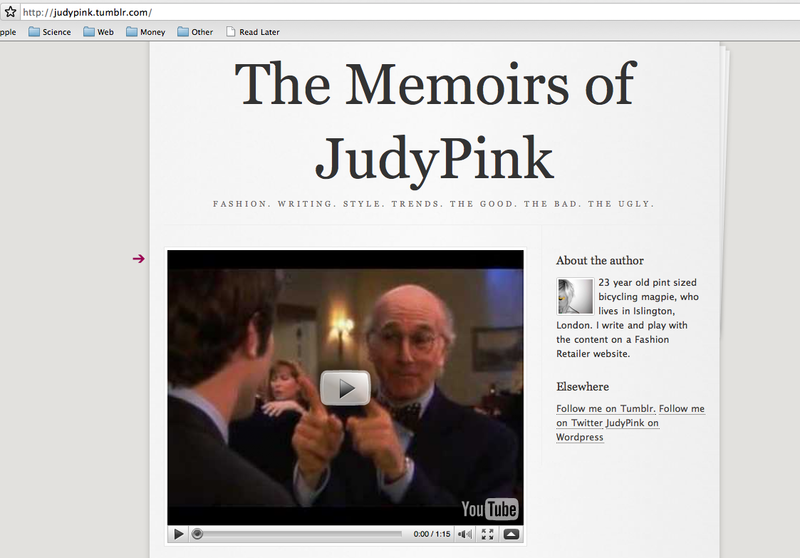 My address is Judypink.tumblr.com. I swear you will not be disappointed! ;o Life is a breeze! London Fashion Week A/W10: Topshop Unique. Catwalk Summary: Massive emphasis on nature. Lots of cosy sheepskin, chunky knits, ankle boots, masculine tailoring, short skirts, maxi dresses and cable knit thigh high socks. 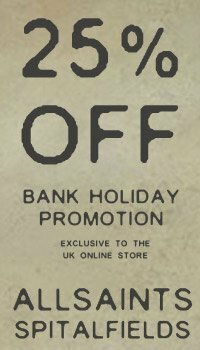 Colour Palette: Khaki, Grey, Beige, Off White, Tan and Burnt Orange. Key Piece: Sheepskin cropped leather jacket. Rating: 7.5/10 – I was more impressed than I thought I would be. 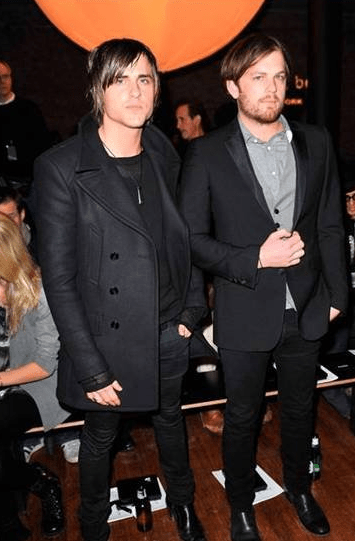 Who Wears AllSaints: JARED FOLLOWILL. 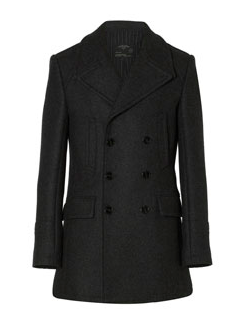 Jared is wearing the AllSaints Cohen Coat – unfort this lovely tailored piece of outerwear is now out of stock in the UK but can still be purchased on the US.AllSaints.Com website! 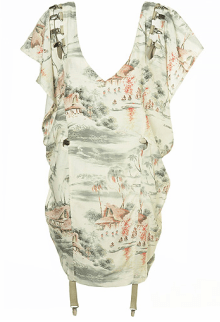 I Want, want, want: Topshop Unique Hawaii Print Dress. I thought I liked this dress when I saw it on the Topshop Unique runway last London Fashion Week back in September. Now the dress is online, I KNOW I love it and I WANT. Topshop Unique and Boutique, for me, have been lacking somewhat recently… maybe it was just the curse of that awkward transitional period between Autumn/Winter and Spring? I certainly hope so! Topshop Unique Hawaiian Print Dress, £120. Aggy Takes A Tumble: TWICE. 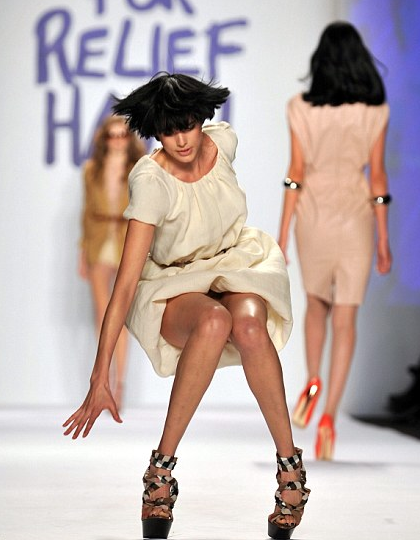 So Naomi Campbell arranges a catwalk to raise money for Haiti and Aggyness Deyn felt the need to pay homage to the great supermodel – by falling down the runway; TWICE. Naomi Campbell once fell on the runway whilst wearing Vivienne Westwood heels…. Watch the clip below of Aggy taking her two tumbles… LOL. I know it’s probably quite mean, but I can’t stop laughing at this clip! Sorry aggz.